I meet tour guide, Alexander Iles at Newcastle’s Journey Café to the rear of the the Laing Art Gallery. He’s very welcoming and offers me a coffee. My first impression is of an enthusiastic, engaging young man full of passion for Newcastle and very keen to share his knowledge of the city and region. He draws my attention to a nearby building that was home to Victorian architect, John Dobson and points out what looks like a plain pavement just outside the café. Alex explains that this is the controversial ‘Blue Carpet’, a worse for wear art installation of 250,000 glass tiles, completed in 1999 at a cost of £1.6 million. He’s clearly not impressed by its sorry state, but it’s great to have your eyes opened to something you might not have otherwise noticed and in this Alex excels. Alex is the owner of Iles Tours, a three and a half-year-old business providing popular walking tours that have become, in a very short space of time, a major tourist fixture in Newcastle. They are also a great treat for locals wanting to learn more about their city. You’re left in no doubt that the success of the business is down to Alex’s knowledge, determination and passion for Newcastle. We chat for more than an hour and I’m struck by his desire to share as much of what he knows about the city and the region as he possibly can. What he knows is exceptional. I learned much that I did not know and as a North East historian myself, I’d say my knowledge is certainly better than average. Though only 25, Alex has soaked up facts, stories and insights spanning centuries and this all helps to make his energy and passion so much more infectious. In fact such is his passion that it’s sometimes hard to get a word in, but it’s endearing because what he has to say is so fascinating and inspiring. 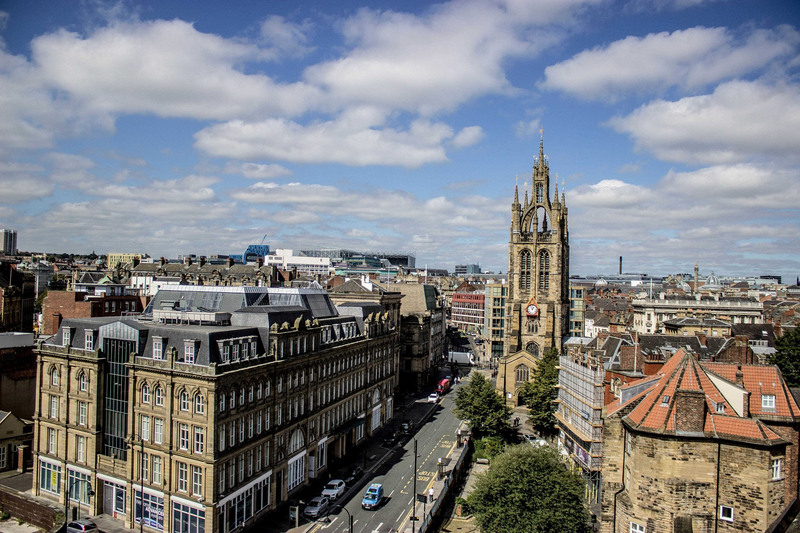 What’s more it’s all told with a conviction that Newcastle and the North East has an extraordinary story that just has to be told and that this is a city and region destined for great things. Post university and frustrated by his job searches, being told he was either overqualified or inexperienced, he opted for self employment. “I didn’t want to do an office job and loved Newcastle” he reflects. “I went into Newcastle Library and read every book I could get on Newcastle and wrote my first tour – the Historical Tour. In setting up the business Alex received guidance from PNE (Project North East) and Rise Up at Newcastle University who gave him a £400 grant to build a website and make the first flyers. “It helped a lot, as I had a vision but not much finance to get off the ground. Alex is motivated when people get passionate about the region and start seeing it for what it is. He wants people to love the region and to fight for it too. I find him optimistic about the region’s future as well and he believes the North East is on the verge of another great period of prosperity. His optimism is based on the belief that a new industry or technology will be found for the city. Let’s hope he’s right. Indeed, as part of his research into a new tour featuring the city’s historic entrepreneurs, Alex has learned much about modern technology developments and technology companies within the city and the region and this will feature in his latest themed tour. I ask him what it is about Newcastle and the North East that he thinks is so special? “This is the greatest region in England and has so much rich history that makes it so vibrant today” he says. “The North East is a location with such a unique culture, it is English, but it’s not, it is communal, friendly, based on honesty and mutual respect with a huge sense of humour. Typical customers on Alex’s tours are from all walks of life, ranging from school children on trips to students and professionals, to older people taking city breaks. He also undertakes corporate tours from time to time at the request of local businesses. Around half of Alex’s customers are British, around a quarter are from Europe and the rest are from English speaking countries. He seems to get some great feedback from customers who are impressed by what they learn. This is certainly backed up by glowing reviews on Trip Advisor. Alex clearly gets a great buzz from inspiring and educating people about the region. Even when they are local, he is keen to show that although they may ‘know’ their city there is always so much more to know. Alex has made many surprising discoveries about the city but one of the things that strikes him the most is how much the world owes day to day things to the city. He believes that the inventions and inventors who came from Newcastle and the region are often taken for granted despite the fact that they transformed the way the world works and I am inclined to agree. Light bulbs, power stations, competitive rowing, cranes at docks are among the developments Alex mentions. “Newcastle has been pivotal in how the world has worked” he says. Alex is an entertaining teller of tales, but also a stickler for accuracy which is a good thing, but I want to know what are his favourite stories about the city? “It depends on how people I am touring respond to it (the tour) as to which one is my favourite” he says. Alex undertakes a number of different kinds of walking tours in Newcastle, each with a different theme. There’s an historical tour, a cultural tour and a gory tour and, as mentioned, he is close to introducing the new tour focused on Newcastle’s entrepreneurs. He can also create bespoke tours for people on request. His gory tour started this way after Newcastle Blood Bank wanted a medical tour of the city. Alex put together the tour for them and realised he enjoyed the material, so started adding and editing it. 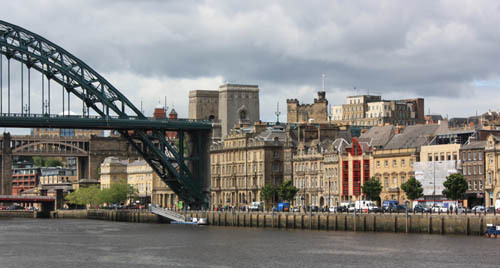 Alex is of course not the only guide offering walking tours in Newcastle and the North East. There are many experienced, knowledgeable and enthusiastic guides offering such services throughout the region, so I want to know what he believes makes his tours different? However, in the present he’s focused on our region and hopes to continue developing the educational arm of his business as part of a teaching group called Meet The Ancestors – where like minded businesses work to teach the past to schools and the region. Alex has also written a book that he’s hoping to get published entitled A Time Travellers Guide to the North East. “It is a passion of mine to work in establishing festivals in the North East”, he says “and helping to get people passionate about their region” he adds, and it is in this, it seems to me, that Alex is a shining light. If people ask a lot of questions tours can be longer – though Alex says these are often the best tours! £20 for an adult, £15 for a concession and £10 for a child.